Sweet and savory gets a whole new meaning with these Sweet Paprika Meatballs simmered in a hearty red sauce. Serve this dish with your favorite pasta for classic Mediterranean comfort food! However, I admit that my heart sank a little bit as I was doing my research for this piece. Yes, ‘researching’ spaghetti and meatballs is part of my job description here. I wanted to track down the culinary lineage of this particular Italian-American dish. What I expected to find was a trail of clues, or ‘pieces of a puzzle,’ that started with the ‘immigrant cuisine’ of Turn-of-the-Last-Century New York City, and lead me across the Atlantic to the Old World, where I would find the “Missing Link” to unearth the precise origin of this beloved dish. 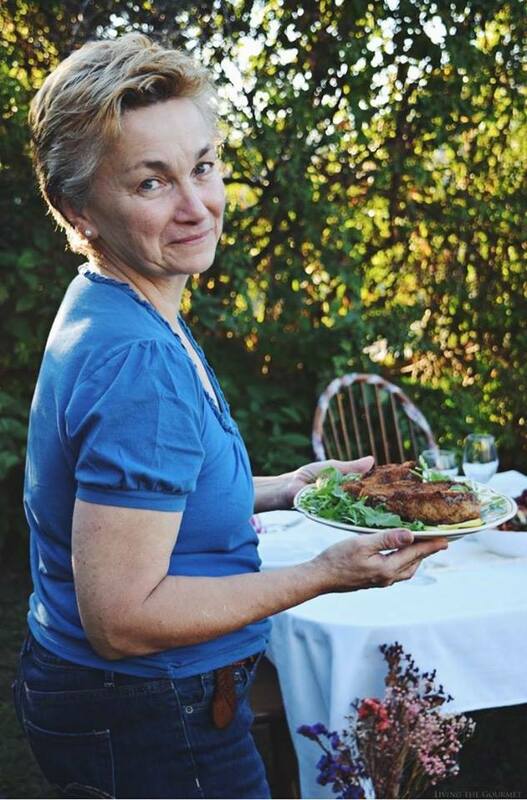 I thought I would find myself reading about how my Italian immigrant progenitors had adapted their Old World recipes to their New World ingredients, or how they had reshaped their cooking and eating habits to fit their new lives. What I thought I would be reading about was how their new world and new culture had influenced or mixed with their ‘recipes of old,’ and how that had developed into a uniquely “Italian-American” experience. Instead…there was no trail to be found. To demonstrate, let me ask you what comes to mind when I say “Italian Food?” In all likelihood, you would think of one of several different recipes, but I’m guessing most of you would immediately think of ‘spaghetti and meatballs.’ That’s what almost anyone would think, that is…unless you are actually ‘from’ Italy. You see, the issue here is that spaghetti and meatballs, as it turns out, is ‘not’ Italian. 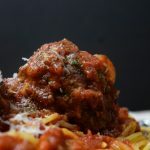 Instead, the first known recipe for spaghetti and meatballs was published in English in the 1920s in New York City by the “National Macaroni Manufacturers Association,” which is today called the “National Pasta Association.” The president of the National Macaroni Manufacturers Association at the time was a man by the name of James T. Williams. Not only that, but it appears that this popular misrepresentation of the cuisine is actually quite irking to some “Old World Italians,” as if we “Colonial Upstarts” have somehow stolen their culinary thunder. As it stands, this mini-cultural revelation was painfully eye-opening for me, essentially recoloring much of what I had originally thought were first-generation Italian immigrant incarnations of Italian cuisine, but which I now understand are distinctly, and uniquely, “Italian-American,” a “colonial” or “migratory” re-imagining – often by necessity – of their culinary heritage, that bore many of same flavors and ingredients of their previous cuisine, but whose form, heft and appearance are almost wholly distinct. 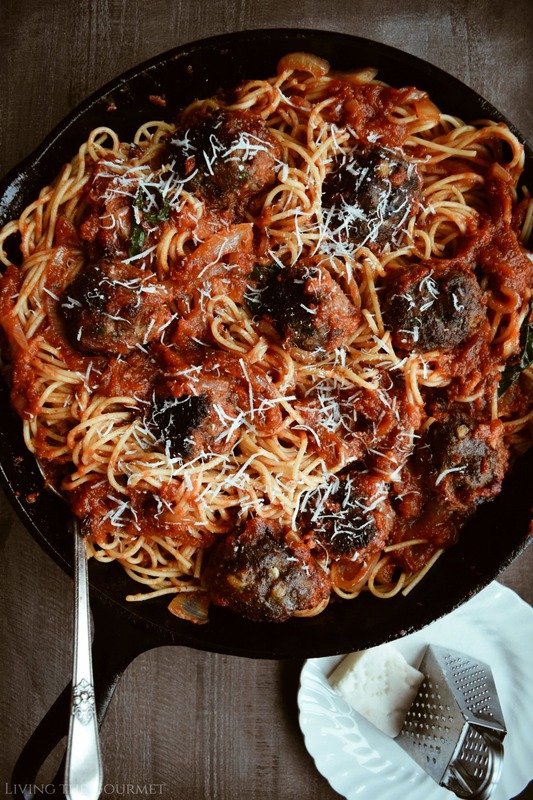 Now, with all of that in mind, and before I cave to the temptation of adding yet more words to what has become more of an ‘editorial’ than an introduction, I present to you today – Paprika Meatballs over Spaghetti and Red Sauce. To start things off, begin by combining all of the ingredients for the meatballs listed below in a large bowl, and mix them together. I could try to convince how easy and ‘super simple’ this is, but I’m going to be honest and tell you’re there’s no avoiding using your hands for this part. This is messy work. Once the mixture is thoroughly and evenly combined, begin forming the meatballs. Try to make sure that they are all roughly of the same size to ensure an even and predictable cook time across. Yes, more messy work. Once that’s done, heat a large cast iron frying pan with a drizzle of olive oil. You want the pan to be evenly coated in oil before heating. Once the pan is quite hot, begin setting the balls into the pan in batches. You know the pan is hot enough when the balls ‘sizzle’ when placing them in the hot oil. And please, for goodness sake, do not overcrowd the pan. 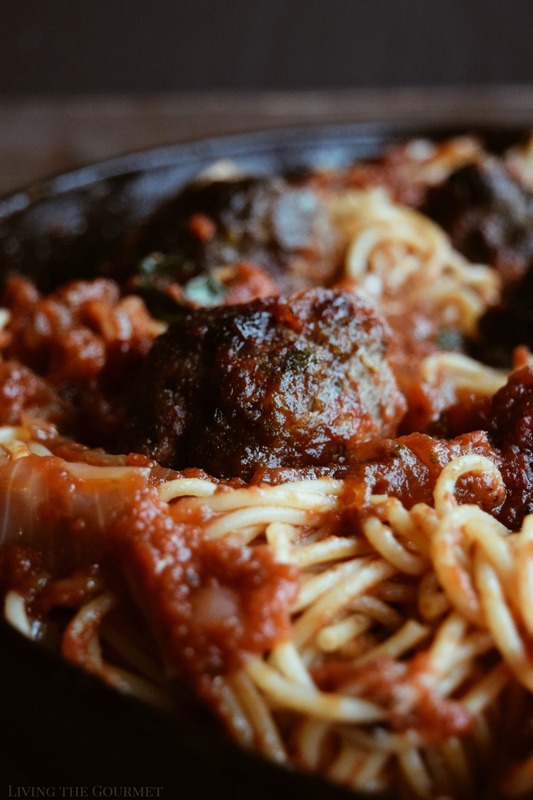 Precisely how long you should cook your meatballs depends on how large or small you molded them. Generally speaking, you want an evening browning, a fair bit of ‘char’ as pictured below. Heat a second cast iron frying pan – dry. Add in sliced onions, chopped garlic, and the seasonings listed. After sautéing or a minute or two, then drizzle a bit of olive oil, and continue sautéing until the onions are soft and golden. Once that’s done, add the meatballs into the sauce, along with the drippings and scrapings from the pan for added meaty flavor. Allow the sauce to continue simmering for about an hour. 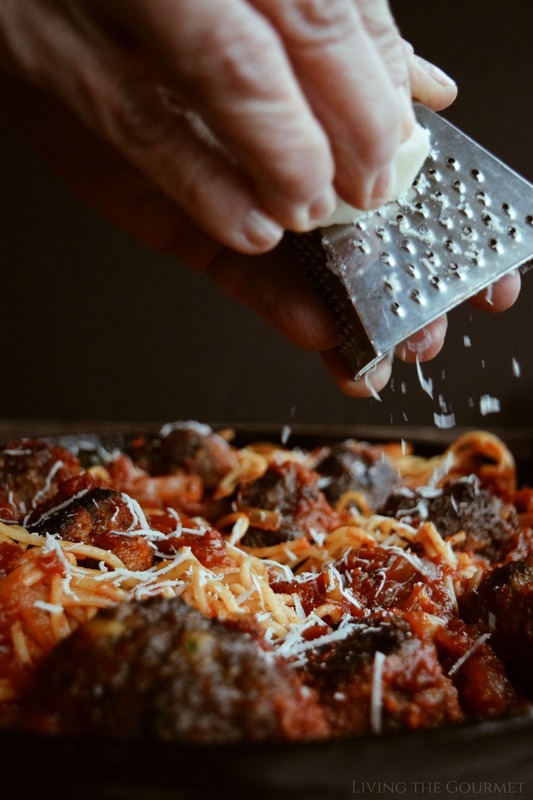 Finally, prepare the spaghetti as directed, and once the spaghetti is done, combine that with the sauce, and serve with a generous dusting of Romano or Parmesan Cheese. Combine all of the ingredients in a medium sized bowl and mix together. Heat a large cast iron frying pan with a drizzle of olive oil. Form the meat into medium sized balls and place in the heated frying pan. Do Not Overcrowd the pan. When the meatballs form a nice golden char, carefully turn over and cook on the other side. Do Not have the heat too high. Heat a large cast iron frying pan. Add the sliced onions, chopped garlic and seasonings to the frying pan. Sauté in the dry pan for a minute or two, then drizzle with olive oil and continue to sauté until the onions are nice and softened. Add the crushed tomatoes and toss. Carefully, add the meatballs and the scrapings from the bottom of the pan the meatballs were in, this has all the flavor! Simmer the sauce at a very gentle heat for at least an hour, the longer it simmers the better. Take the fresh basil leaves and place in a small pan heated with a drizzle of olive oil and toss with a sprinkle of salt, then add to the sauce. Prepare the spaghetti as directed and drain. Remove the meatballs from the sauce and toss the spaghetti with the sauce. Serve with fresh grated Romano or Parmesan cheese. 1) Since these meatballs have a bit of a ‘sweet’ or even slightly ‘dried fruit’ flavor in background, I’ll suggest a decent Zinfandel. 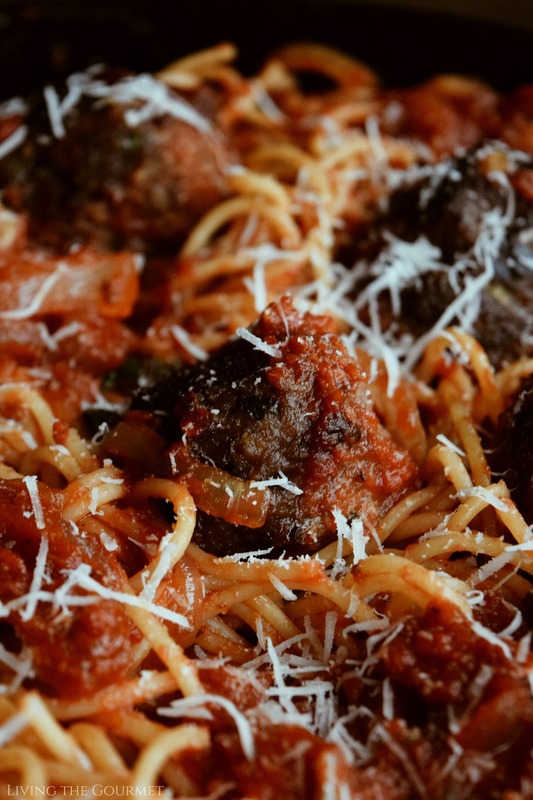 3) Naturally, the tried-and-true meatballs and spaghetti pairing is a solid Cabernet Sauvignon. See our guest post for a concise cabernet guide. Here a few of my favorites that I’ve reviewed here on Living the Gourmet, in particular from Yarden Winery and from Herzog Winery. Those look so good! I'm a huge meatball fan. I've never tried them with paprika in them before. Love the idea of adding paprika to meatballs - I bet they taste so good. Will have to try. Very interesting! I'm printing this out to try out very soon. Such a delicious and comforting meal! I have never used raisins in the meatball...now I can't wait to try it since my husband loves raisins. Meatballs is one of my favourite things in the world and I quite like mine. But I need to better my sauce and have recently turned to store-bought tomato sauce. This new recipe, however, looks good so I'm going to give it a shot! When the moon hits your eye like a big giant meatball thats amore! 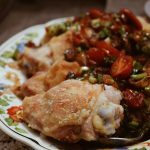 These sound like a great dish to serve tonight for my family; thank you for this delicious recipe! Wow! What a perfect balance of flavor and texture; can't wait to fix this up for myself! I’m a HUGE meatball fan and these definitely caught my eye! I love adding raisins and the like to my mixture as it adds such great natural sweetness! These sound so delicious and so flavourful. A dish the whole family will love, I'll have to put these on the meal plan. Love the inviting moody pictures. Those meatballs have so much flavor packed..
the hubby wants me to cook this this week hahaha. thanks for sharing your recipe! 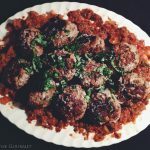 I seriously try to work in a meatball recipe into each week's meal plan. Guilty. But these definitely would be a fun change up to my same old same old meatballs! Can't wait to try! I love paprika and I love meatballs. I definitely want to try making this recipe. 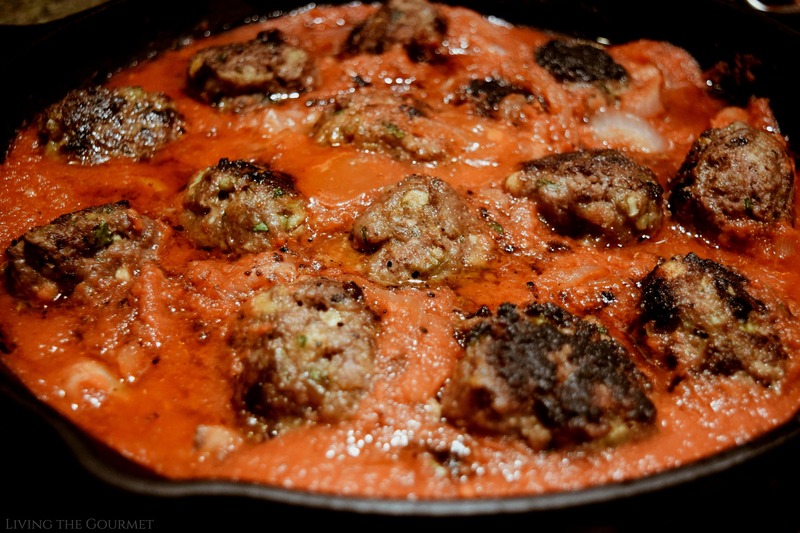 These meatballs look like they would be so amazing. I love that they have both spice and sweetness to them! I am drooling over this recipe. Can’t imagine how delicious it will be to taste. This looks so amazing!!! Definitely adding this to my list! 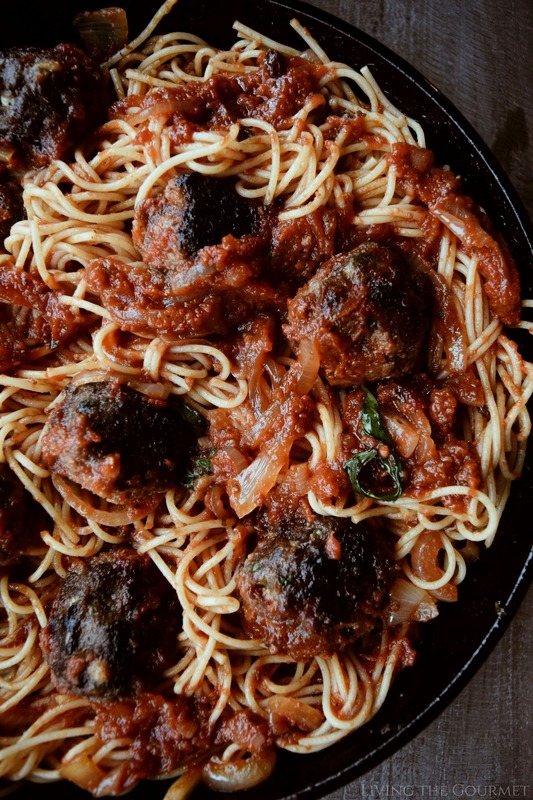 We havent had meatballs for ages so going to try this recipe! Like the spicy kick to them! These look so delicious! I need to try these out soon, while its still chilly out! They really are a great comfort food! Wow, I was not expecting that history of spaghetti and meatballs. I totally would have thought it was a full on Italian dish. Love the time you take to dig through the history. And the recipe and photos are incredible! This is my other half's favourite recipe in the whole world! 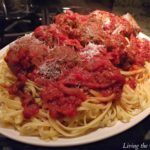 Not a week goes by without spaghetti meatballs in our house, and I love your version of it! I always find it fascinating, the evolution of the food over time, and I found it interesting to read about the history of the food too! I was looking for something other than the traditional meatball and I stumbled across these. I made them and the flavor was out of this world good. I will be making these again soon. This dish looks awesome and I am drooling over it. Have to make it for my family. I love this update to a classic pasta dish. Perfect for when I'm looking for a great comfort food recipe. My kid loves meatballs with pasta. You just gave me an idea what to make him next week for dinner. This will be perfect. Looks absolutely delicious and so flavorful. What a unique recipe! I have never heard of anything like it. The pictures are making my mouth water and the recipe sounds so delicious. My family will love this dinner. Pinning for later! 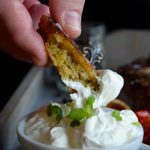 I am loving everything about this recipe!!! Your pictures are amazing...makes my mouth water! I'm printing this one off as we speak...I'm making this recipe this week! 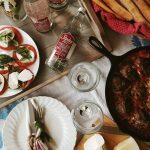 Yes, it's so true that so much of what we think of as Italian food is really Italian-American with very little resemblance to true Italian food. But it's also become culturally important on its own! I live in South Philly - which still has a huge Italian-American population - and it smells DELICIOUS walking down the street Sunday afternoons as all the old Italian grandmas are making their 'Sunday gravy' and meatballs! wow...am a big fan of meatballs and its...such a delicious & more yummy food with beautiful pictures as well...Thanks for sharing...!